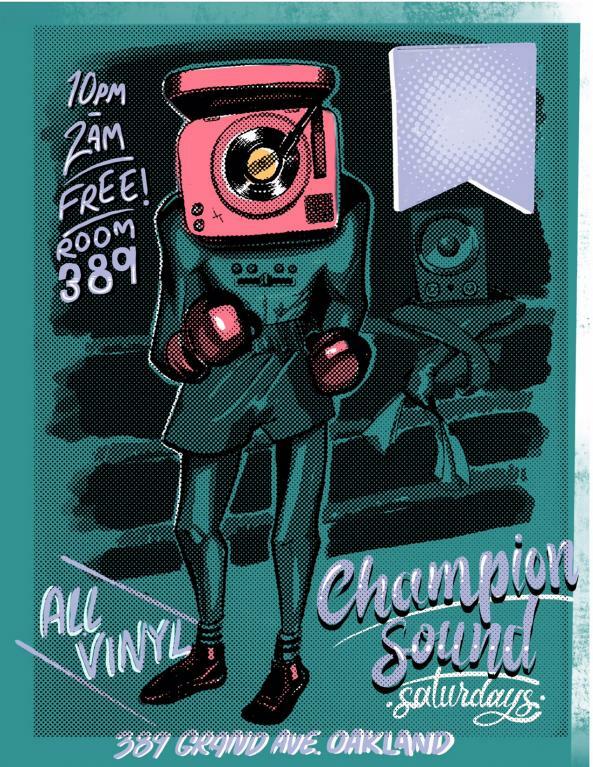 Champion Sound Records’ affiliated Vinyl DJ night. We’re dedicating a night to our Vinyl DJ Community. Hosted by Donovan and bringing in Guest DJs from throughout the Bay and beyond. Multiple genres; selectors choice! Always a party, always free! Heavy selection of dance music on wax and great drinks every Saturday at Room 389.